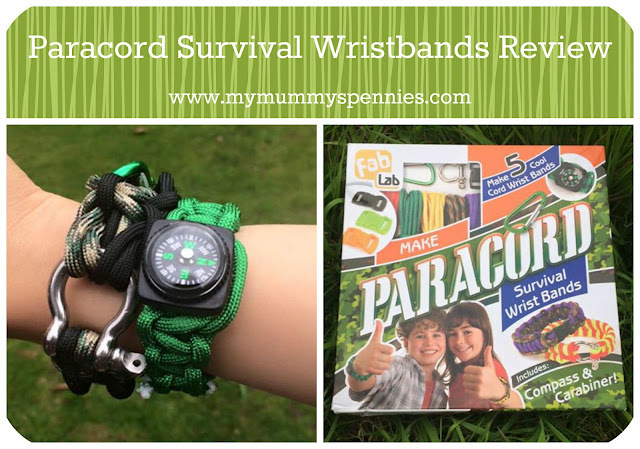 My eight year old loves the outdoors, he enjoys learning survival skills at Beaver scouts and is great at living outdoors on our regular camping trips so he was delighted when we were given the opportunity to review the new Paracord Survival Wrist Bands kit from Interplay. He couldn't wait to create some great looking and useful wristbands from the colourful paracords and accessories. 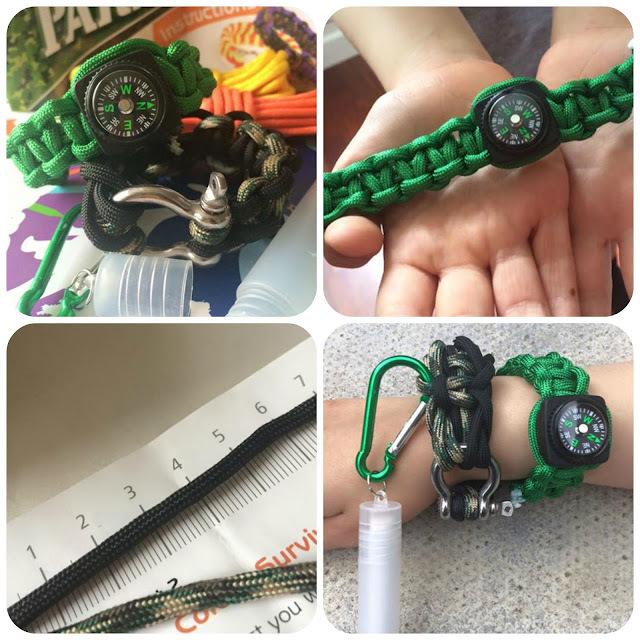 The FabLab set contains everything he needed to make a variety of coloured wristbands that will come in handy during his outdoor adventures and camping trips. 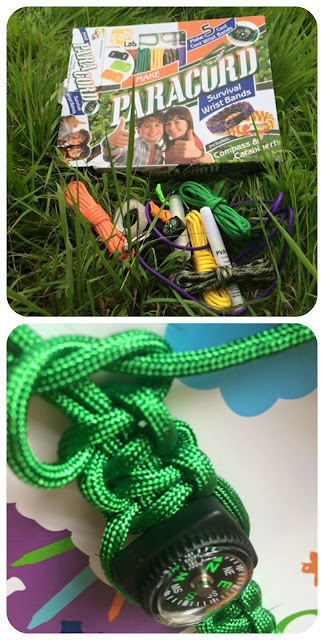 Included in the box was; a full colour instruction booklet with easy to follow instructions detailing how to create both single and double colour wristbands as well as tips for adding the accessories, plastic clasps, a metal carabiner clasp, a compass, a container of chalk on a metal clip, glue and tape. The kit is aimed at children aged 8 and above, Ben needed a little help starting off as some of the cord was tricky to thread through the plastic clasps but once he got going he found it really simple to follow the printed instructions and was interested in what he was creating and how it could be used. He has learned about different knots in Beavers (and from Daddy) and also practised these with the cords. 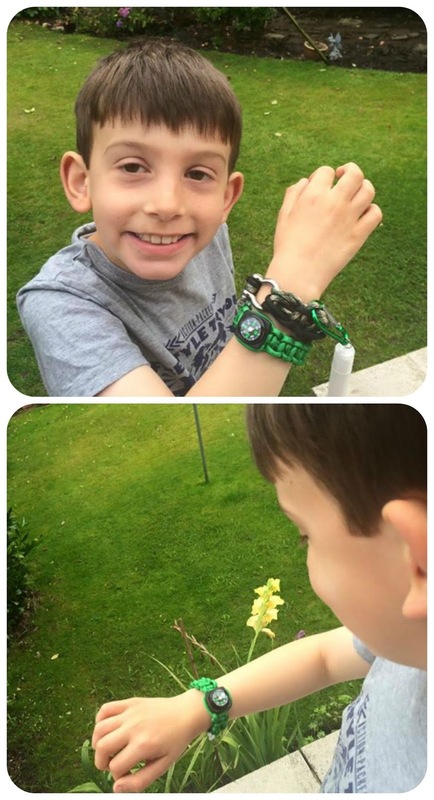 Ben created a funky green wristband with a handy compass and then a black and camo two colour band using the metal carabiner clasp. There's enough materials in the kit for him to make another three bands also. I'm really impressed at how easy the instructions were for Ben to follow and how he as able to complete the activities independently. He was interested in what he cold do with the completed wristbands and I thought it encouraged some really useful skills from measuring, to hand eye coordination. This kit is available at Amazon and retails at just £9.99 making it great value and an ideal gift for adventure loving children and teens. 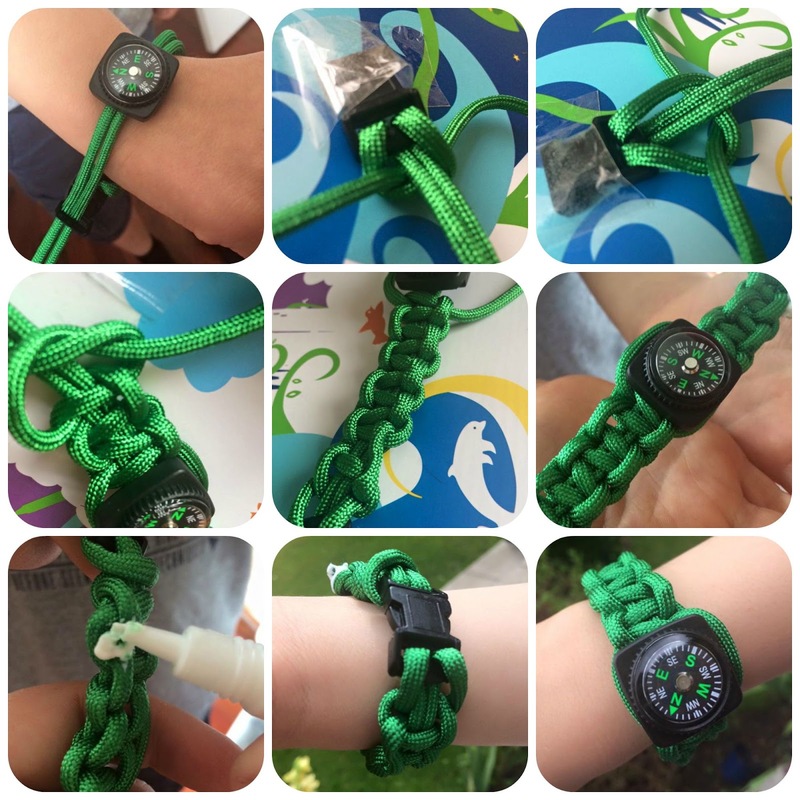 Check out what That Lancashire Lass and The Brick Castle's family thought of the Paracord kit too.